Taye Diggs Dubbed As The 1st African-American Drag Queen In Lead Role...Is There Truth To This?? 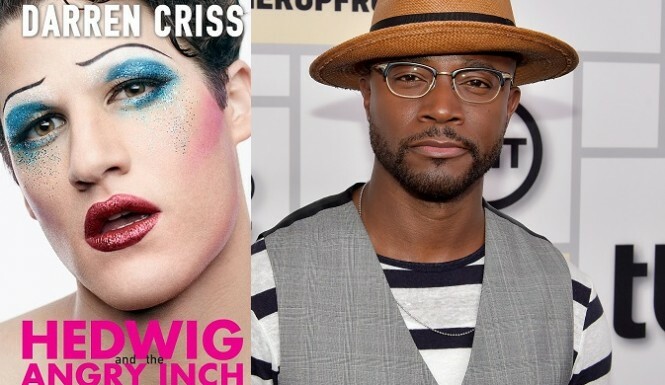 Taye Diggs Dubbed As The 1st African-American Drag Queen In Lead Role…Is There Truth To This?? EarHustle411 came across an article that states actor Taye Diggs will be the first African-American man to play a drag queen in a leading role. Unfortunately this is not true. Of course there have been several black actors who played parts where the role required them to dress up in drag however it was not for a leading role. Taye Diggs may have being the first African-American man to dress in drag as a lead in a Broadway Play on lock but not the being the first to do so in a lead part. We are so sure there are more to add to this list however, we are not judging anyone who has decided to take this route or play these types of roles but just to make it clear that Taye Diggs is not the first male to play a “lead” as a woman in drag. We believe Ving Rhames did it first. What are your thoughts about African-American men playing the part of a woman, is it good, bad or it doesn’t matter?